I agree. I've done many comparisons and I always came back to DSD256 setting. There are already DACs that can do DSD512 & DSD1024 & much much cheaper. I’m not following your logic. 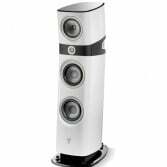 Did someone compare the APL DSD-MR to an Aries Cerat Kassandra? I don't at all doubt that it is possibly in many ways one of the best dacs that money can buy. It'd better be, at that price! But to me the absolutely MOST interesting paragraph in your review was where you mentioned how it handled the extremely densely scored passages in Britten's Passacaglia from the Reference Recordings album. To me it indicates two things. You obviously have a very resolving system and you know where a link fails to deliver the whole truth. LARGE SCALE symphonic like Britten, Stravinsky and Bartok to mention a couple of composers whose music is good material to "sort the wheat from the chaff", I have to conclude that this dac was possibly designed to sound euphonic? much like vinyl and analogue tape do? But not necessarily as live music ACTUALLY sounds? But for me the ONLY REFERENCE POINT there can be in REAL HI FI terms, is HOW CLOSE any link in a reproduction chain dac or whatever else can reproduce acoustic music to how it sounds LIVE in a real hall. And with the example you mention to you there are already other dacs that sort out very complex symphonic music better than this dac does with this particular recording. If I am not wrong that Reference Recording is a PCM recording recorded at 176.4 with the Pacific Microsonics chip used by Mr Jonsson for many of his recordings which would have had to be converted to DSD by this Dac. Some more recent recordings from the same label have been made at DSD 256. Do you have any of those as well to compare with other dacs? You also say that it's been like driving a Ferrari. Have you also driven a Chord DAVE with a Chord Hugo M Scaler yet? I suspect that with this particular recording and possibly others of the same complexity and dynamic range it might be an even smoother and possibly more REALISTIC drive than the dac you have just reviewed. Nota bene,I am not saying this as a fact. I am only guessing from actually hearing the DAVE/HMS and using the HMS with a Qutest dac since three months on a daily basis. I have yet to audition the dac you reviewed. And the DAVE/HMS would play the native 176.4 pcm file not a conversion of it. On the other hand the DAVE/HMS and TT2/HMS would do the opposite with a native DSD file. I would not rule out the possiblity that the "Ferrari dac" is one of the best DSD dacs around. But I guess DAVE/HMS would sound more realistic and closer to the real thing with NATIVE PCM material. If you haven't yet heard either the TT2/HMS or DAVE /HMS yet do try to do so while you still have the dac under discussion in your home. I would be very interested to hear your take on such a comparison with the MOST demanding material you have. Those who drive Jesko would not care about DACs. To own a symphony orchestra or opera theater would be a better fit. Did you ask what was behind the decision not to have a volume control? Certainly, but this was not my point. According to Chris the DSD-MR is not perfect. So is there a DAC which combines the virtues of the DSD-MR and some other top DACs? IMO, a volume control is not superior to a very good preamp. So you pay for things you do not need. That is basically the same question I was asking and with a suggestion of a combo that might be more resolving and ultimately "better", than the "Ferrari dac". According to the designer behind that combo ie Dave/HMS, DSD is a fundamenally flawed format with limitations that can not ever be solved. According to him he used a format identical to today's DSD 256 already in the 1990s but later abandoned it because of its too many limitations. Personally I am only interested in maximum transparency to the source. I am not interested in dac solutions that possibly only sound as good the best of vinyl. I already have a good LP player. I want dacs that sound clearly better and closer to real live acoustic music than even the very best of vinyl! I know what the mentioned designer thinks about DSD but the Chord products are not my cup of tea. Further I would not regard DSD as a flawed format. Some excellent guys like @tailspn and @Miska are working with it. I appreciate what Chris said about the emotional impact of the DSD-MR.
Maybe the mentioned issue can be solved in the next version of the DSD-MR. I am personally not stating the above as facts, I am merely and hopefully this time, correctly, quoting Rob Watts. I have quite a few DSD recordings especially from Channel Classics that I play often and like a lot. I also sometimes wonder why Rob finds DSD so bad? I am also aware of the fact that some companies still record in DSD64 in spite of the inevitable noise problems involved in post processing DSD64 recordings. I personally think that DSD64 raw and unedited can sound very transparent and in some ways more listenable than some pcm which still even in hi res, sometimes suffers from hardening and digital ringing that can be painful to hear. I sometimes prefer the slightly softer than live sound of DSD64 over hard ringing pcm. And I would absolutely love to hear the complete DSD256 recorded version of for example Mahler's 3rd which Tailspn recorded with a very simple five mic rig in parallel with Jared Sacks DSD64 Grimm multimic take already released. In that particular case and long before I had an M Scaler it was quite clear to me that at least via my systems both headphone based and via electrostatic speakers, that both the DSD128 ,the DSD256 and DXD samples from the sessions sounded closer to how I have myself heard that orchestra sound in that hall during the sessions for M5, than the slightly less resolved and softer but still very good DSD 64 version. My personal guess is that neither DSD 256 nor DXD are quite enough to capture a symphony orchestra in all its glory. I suspect that maybe 32 or even 64 bits and a sampling rate of 768khz may be necessary to do it full justice. But I also have reasons to suspect that Mr Watts actually knows what he is talking about very well and at least since first hearing his Dave/BLU2 and now Dave/HMS and Qutest /HMS, what I keep hearing from my best masterfiles both DSD and PCM tend to confirm his claims. It may unfortunately be a fact that the issue you hope can be solved in the next version of this dac is in fact an inherent nonsolvable issue of DSD as a format? One thing Rob Watts keeps mentioning as a really major problem with DSD apart from the well known and undeniable noise issue with DSD 64 in particular, is the softening and blurring of transients. And to me it is an undeniable fact that music in fact is simply a series of transients. Awesome product with price to match; thanks for the great review. IMO, in 2019 DSD64 is obsolete. It is not an appropriate format for comparisons to high rate PCM or DSD. According to posts from @tailspn recordings in DSD256 seem to be superior to those in DXD. That would be comparable to DSD512 or DSD1024 and in this case I would prefer DSD. The Lindemann Music Book series are wonderful but not comparable to the APL DSD-MR in terms of ultimate sound quality. Extreme sampling rates might be considered a nice bonus, where sound quality will be the result of many other and more important factors. I was more referring to the similarity in the digital is the new analog claim rather than comparing the two, the APL is 10 times more expensive for that reason alone it should sound so much better. I'm looking forward to hearing the upcoming Lindemann update before I start considering a new DAC. Such as the DSD-MR DAC's Class A tube output stage (without volume control)?